Jane* was pregnant when she discovered she was HIV-positive in 2008. She remembers feeling devastated. “I became utterly preoccupied with thoughts about my condition, about which I knew next to nothing other than the various myths and misconceptions and stigma around the disease,” she says. Stigma in particular was her greatest fear. “Fortunately for me, the greatest support I ever received living with HIV for 10 years has come from my HIV-negative partner—the most courageous person I have ever known,” she smiles. Jane was 21 and still a college student when she became pregnant. She and her boyfriend, John*, then 26, were happy with the news. “John and I celebrated the pregnancy, planned for the best care and a good life for our child. So, I got the best support a man could give his pregnant partner. In fact, we were pregnant together because he seemed to know more about pregnancy at the time than me,” Jane recalls. 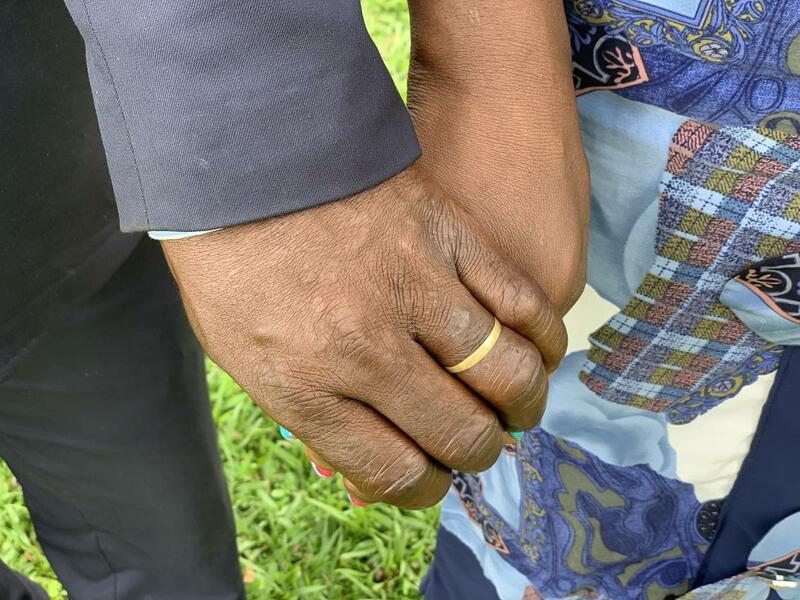 “It is possible for one partner to be HIV-positive while the other is not and that is what is referred to as a ‘serodiscordant couple’,” says Dr Oluyemisi Akinwande, HIV Specialist at the World Health Organization (WHO) Sierra Leone Country Office. “It is also possible for serodiscordant couples to have children who are HIV-negative. To maximize the likelihood of giving birth to a HIV-negative child among serodiscordant couples, the HIV-positive partner should be on an effective antiretroviral drug combination and with suppressed viral load,” Dr Akinwande stresses. But what happens in many situations due to fear the partner may leave, an HIV-positive individual does not disclose their status to their partner. And many do not know their partner’s status. The lack of disclosure increases the risk between partners and can lead to a significant number of new HIV infections among serodicordant couples. When John disclosed his HIV-negative status to Jane, her reaction was mixed. She recalls feeling happy for him but that the happiness was short-lived. She felt insecure and worried John would leave her. “But I was completely wrong,” she beams. Making counselling and treatments free In addition to the medication regimen Jane was put on to keep her viral load low and to the protections the couple embraced to keep John virus-free, the couple welcomed the counselling available through the government’s HIV response programme. A few years after the miscarriage, the couple married. “I wept for joy on my wedding day, and only John and I knew why,” says Jane. “Good things will always happen to you if you respond positively to your situations and circumstances. So, the birth of our child is our miracle because we stayed focused, even in what seemed the worst moment of our lives,” Jane reflects.